You are currently browsing the tag archive for the ‘co-parenting’ tag. Learning to co-parent your child during and after divorce and separation can be difficult. It calls on us to be very adult at a time of high stress, hurt and conflict – often when we are most vulnerable and feeling childlike ourselves. As challenging as this can be, it is possible to share the parenting your child with your ex and their new partner in ways that are nurturing of your child. 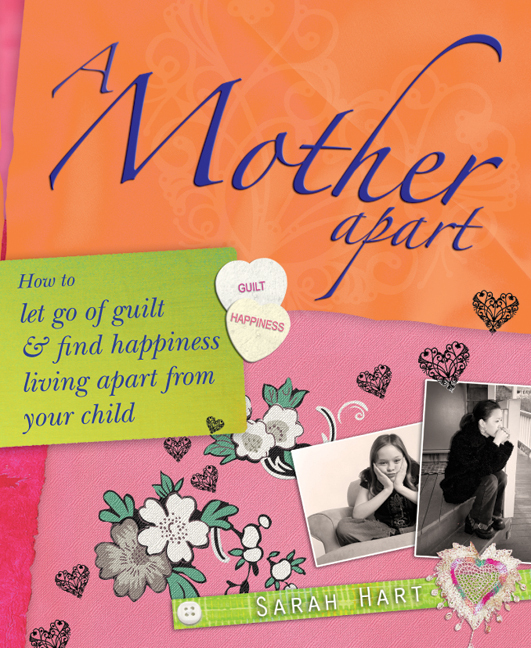 In my book, A Mother Apart, I write about non-competitive co-parenting and suggest ways for mothers who are no longer full time parents, to relax into open hearted mothering, to practice letting go and holding on to their child in equal measure. When I counsel my clients, both mothers and fathers, I approach issues they might have with co-parenting in two distinct parts. Firstly, we explore the feelings and experience of my client, the parent. Then, with greater awareness of where her/his feelings and experience end and where the separate identity of their child begins, we focus on the needs of their child. In my experience, if you don’t explore and validate the often very strong feelings of fear of loss, being replaced, competition, jealousy, over protectiveness, possession – all very normal, natural feelings – and if you move too quickly on the needs of the child, a parent isn’t helped to identify and accept these strong feelings, and will then find it very hard to choose to act with grace and dignity, and very importantly, in the best interests of their child. Just as with 24/7 hands on parenting, you are in it for the long haul when you co-parent. Mindful parenting means that we pay attention to our child’s immediate needs and in so doing we shape the relationship we will have with our child as an adult. When it comes to your ex, remember that having a child together means that you are also in it for the long haul – you will have to deal with each other at graduations, weddings, and share your grandchildren with him or her. Every action you take role models a behaviour for your child. Think and check in with yourself before you act. The reality is that you have even less control of parenting when you split up with your partner and how you parent needs to change. The less contact time you have the more mindful you need to be. Go out of your way to communicate with your ex. Be as generous as possible, keeping the needs of your child clearly in focus. Different parenting styles and approaches will become more apparent when you co-parent. Tell yourself that different is not wrong or bad, it is just not how you would do things. Your child has a right to a relationship with your ex and his/her new partner, new and step siblings which is completely separate from you and your life. Don’t badmouth your ex in front of your child. Children identify with both parents and experience badmouthing of a parent as a personal attack. Don’t pump your child for information on the other parent, their new partner and family. Not knowing about and controlling the impact of your child’s family beyond you is the reality after divorce. Tell yourself there is no competition – you will always be child’s mother or father – there is enough love to go around. Focus on your own life! You deserve to be happy, find love with a new partner and experience the joy of other children.